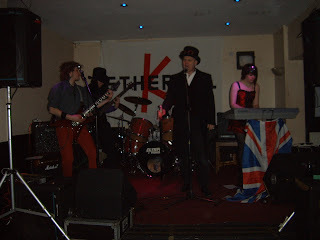 Hello Gladstonians, Sherlock's dog was out and about on Saturday night when my nose led me to Northampton Labour club, there I found Gladstone about to play a gig with the excellent Ethereal K. DJ Spiral Archive was playing some great tunes and at 9.00 Gladstone were on stage. They started the set with the Madness of Tilly Matthews and were soon off through Bluey, Night Creatures, the newest song Twisted Lip, Dr Dexter's Dream, Newgate, Hall of the Mountain King, Curse of Tutankhamun and a cover of TMTWNBBFN's Boilerplate Dan, as this is jubilee year they ended with a great rendition of God Save the Queen! 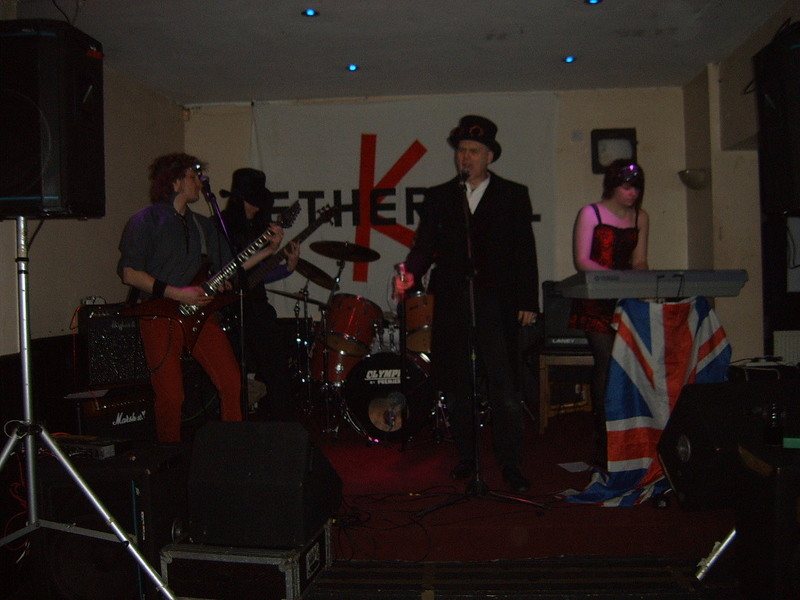 Ethereal K are a great Northampton band led by the talented John Novak, they play a sound that is hard to categorise it is a fusion of Psychedelia and Gothic sounds with a haunting violin, well worth seeing if you get the chance. After the gig the band mingled with the audience and wished John a Happy Birthday before heading off into the night, all in all it was a very enjoyable evening.see you soon!